Recently, the newly formed Townsend Agricultural Club elected its first officers during a club meeting. Officers will work with their advisors, Principal Mike Snider and School Counselor Beth Howland to plan activities for the club. 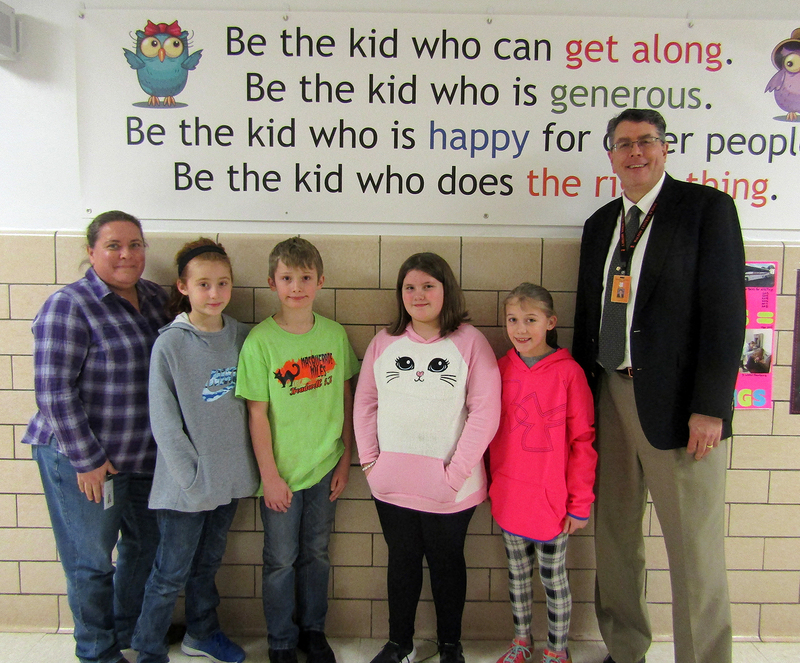 Pictured are the elected officers and advisors (from left): Advisor Beth Howland, Chasidy Constable (president), Lillie Conrow (fourth-grade vice president), Corbin Walley (third-grade vice president), and Grace Walley (reporter), and advisor Mike Snider.